Like many Canadians, each and every year, I truly crave the month of July. The sun is shining, we get to sit by an Ontario lake (nothing better! ), my kids are bouncing around and playing outside and... friends and family are nearby. I am sure you have your own special summer traditions with loved ones that make this time of year even sweeter. To help celebrate July (and of course make it last as long as possible! ), this newsletter is filed with some fantastic summertime recipes, ideal cottage and summertime gifts and as always, inspirational Canadian companies creating products that are eliciting positive changes. Best of all, check out my suggested summer read that will help you experience more joy and delight... now! Lastly, we are seeing some absolutely amazing transformations at Shulman Weight Loss and are so proud to be the #1 weight loss clinic in the GTA! Check out a few of our success stories below. Did you miss the Cityline 21-day re-boot? If so, not to worry! 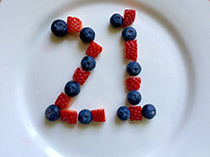 All you have to do is click here to receive all 21 day meal plans, health tips and superfoods to help you look and feel your best. Enjoy! Diets don't work! We all know that dietary approaches that offer quick fix, non realistic nutritional plans or injections are a one way ticket to yo yo dieting, frustration and slowing of metabolic response. At Shulman Weight Loss, we pride ourselves on one on one private, personalized hormonally balanced weight loss programs that are natural, effective and create a long term boost in your metabolism. Keep in mind my #1 weight loss rule - do NOT follow any weight loss program that you could not follow a version of for 5 years or longer. At Shulman Weight Loss, we create permanent health shifts... not temporary results. At Shulman Weight Loss, we always recommend that our clients travel with food. Well... Qi bars have certainly been a hit! 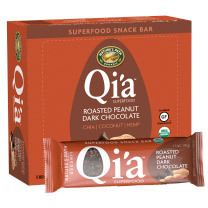 Our clients have been loving Qi?s delicious bars packed with powerhouse superfoods such as chia, hemp, and coconut for a healthy on-the-go 3pm snack. All Qi products are certified organic, non-GMO, gluten-free and vegan. Flavors include dark chocolate cranberry almond, roasted peanut dark chocolate, mocha cocoa hazelnut, blueberry cashew pumpkin seed and nut, seeds and sea salt. Throw one in your bag or in your car to help keep blood sugars stabilized and cravings under control. Forget unappealing citronella bug-repellant candles! This beautiful Aromaflage bug-repelling candle is clean burning, smells great and uses 100% vegan soy wax that is toxin free. From the Southeast Asian tropics, Aromaflage combines scents of citrus fruit, warm cedarwood, and silken vanilla. 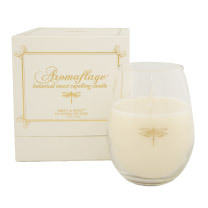 An Aromaflage Candle is the perfect addition to every patio, dinner table, picnic, or travel destination where there may be insects. The perfect hostess gift! Giveaway Alert! Aromaflage is offering 2 lucky winners a fabulous giveaway filled with Armaflage goodies! One basket features Aromaflage products and the other feature's Aromaflage Wild products. Each give away will include a 8ml fragrance/bug repellent, a 50ml fragrance/bug repellant and a big repellent candle ($125 value for each basket!) If you are a member of the drjoey.com database you will be contacted diretly if you are a winner! Who says sunscreens have to contain toxic chemicals? Keep your family's skin protected all summer long with this ultra nourishing SPF 35 mineral sunscreen. Cola sport offers a broad spectrum UVA/UVB protection, giving you 80 minutes of sweat and water resistance. Naturally boosted with beeswax, and infused with omega-3 organic oils, omega-6 organic oils, and organic coconut oil, Cola sport soothes and moistures your skin. Best of all, for sensitive skin, Cola sports is hypoallergenic, paraben-free, and is made with natural ingredients. Re-apply every 2 hours for best results. Let's talk about the elephant in the room shall we? The Dialogue Project has decided to do just this by creating quality and fashionable products that bring awareness to mental health and surrounding issues. Not only do these beautiful cloth bags get the conversation going in a necessary way, they are also a great bag for weekend getaways, running to the gym or going to the office. 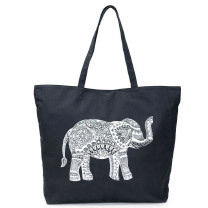 For each bag sold, a donation will be made to help support The Dialogue Project's mission - reducing the stigma surrounding mental health and eliminating 'the elephant in the room'. Santevia's alkaline water filtration system removes harmful toxins and bacteria from your water by filtering it with a BPA free water filtration system. This filtration system helps to shift your system to an alkaline state (vs. acidic) and also adds necessary minerals back into your drinking water. Keeping your body in an alkaline state is one of the most powerful methods to avoid sickness and disease and to achieve optimal helath. The reuseable system is environmentally friendly avoiding the use of plastic bottles. 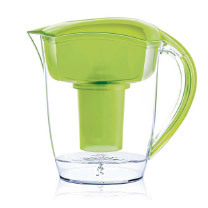 Alkaline water pitchers, water systems and "on the go" options available. Santevia also donates back 10% of all profits to helping others. When you say healthy Canadian chocolate- you quickly get my attention! 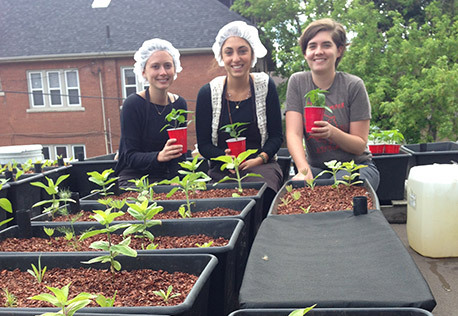 ChocoSol Traders recently invited my team to take a visit of their beautiful chocolate growing setting in Toronto. 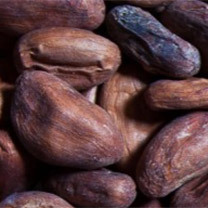 Using organic, forest garden, shade grown cacoa from Indigenous communities in Southern Mexico, Chocosal traders have really perfected the art of growing and preparing slow growing, artisanal chocolate (wait until you try it!). All chocolate made at Chocosal is gluten, soy, nut and dairy free. Additional ingredients sourced from local farmers such as coffee, vanilla, spices and beans are also available. Trust me... I have tried some very good chocolate in my day, but Chocosal's is one of the best! Blend all ingredients until thick and creamy. You should be left with a thick texture! Place cooked fish on lettuce and evenly divide toppings onto each lettuce wrap. Squeeze a lime half onto each taco and enjoy! Add spring mix, avocado, and tomatoes in a large bowl. In a small bowl, add olive oil, lemon juice and mustard and whisk. Crumble goat cheese on top before serving. 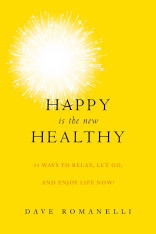 31 Ways to relax, let go and enjoy life NOW by Dave Romanelli. Do you remember what you did last Thursday? What about two weeks ago Monday? It's all a big blur! Our lives are so consumed with emails, telephone calls, errands, social media, texts, and to-do lists that entire days go by without a single moment of joy. Lifestyle and wellness innovator David Romanelli offers simple, immediate tips to relax and feel better this very instant. Dave's fresh take on wellness will remind you that happiness leads to better health. With just the right balance of laughter and wisdom, these thirty-one easily accessible takeaways will inspire you to slow down, stress less, and smile more. Dave's mission? Celebrate life NOW!